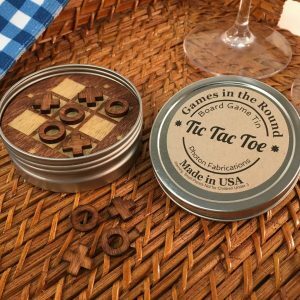 Retro-style packaging and small size appeals to both young and old alike. 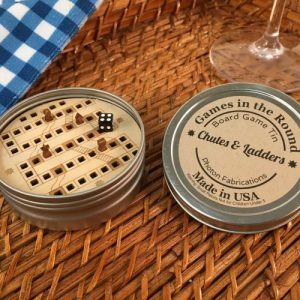 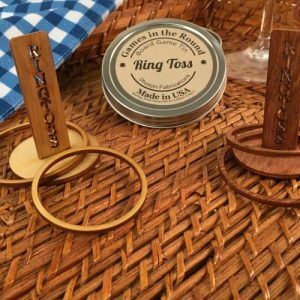 Three and one-quarter inch diameter screw-top tin holds sustainable wood game pieces. 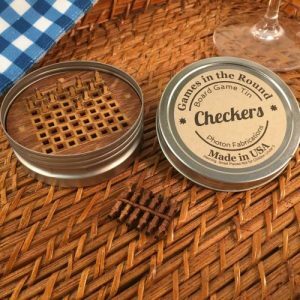 Fits in pocket, purse, or picnic basket! 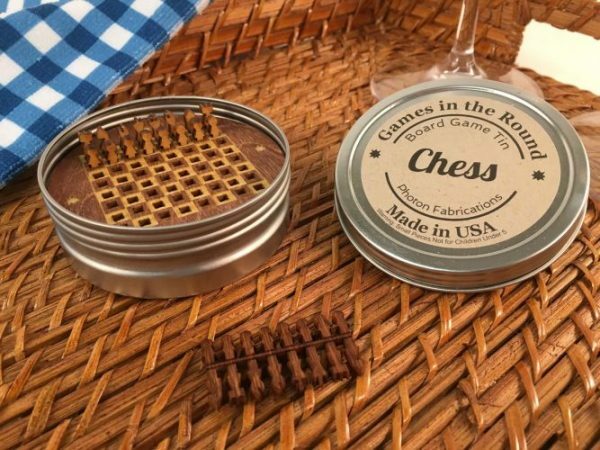 Put down the cell-phone and treat yourself to some brain-building, old-fashioned chess.